I love Christmas and whole Christmas season. A lot of people don't and I can understand that. But I love it and everything about it. From the Christmas music that plays constantly on the radio and the lights in which people dress their houses/yards to stubborn jerks who angrily refuse to say "Happy Holidays" to others because it's the Christmas season, dammit. I also love Christmas beers. Yes, I am well aware that I'm writing this in late April. The good news is that I'm really good at convincing myself it's the holiday season. I have a playlist (149 song, 7 hours and 26 minutes) of Christmas music that I put on to get me in the mood. Cold, cloudy days like today help me to do that more easily. So when I found Anchor Brewing's Christmas Ale from last year on the shelf of my local beer store I grabbed it, knowing full well that my tricks would help me turn a dreary spring day into a the perfect slice of mid-December to enjoy it. Anchor Brewing is based out of San Francisco. The brewery can trace its roots back to the California gold rush in the 1800s. If you're interested, check out the history page on Anchor's website. If you thought the series of events Lemony Snicket wove were unfortunate you may be able to appreciate Anchor's history. They've seen death, prohibition, and earthquakes. I'm glad they were able to tough it out if only for their awesome beer labels alone. 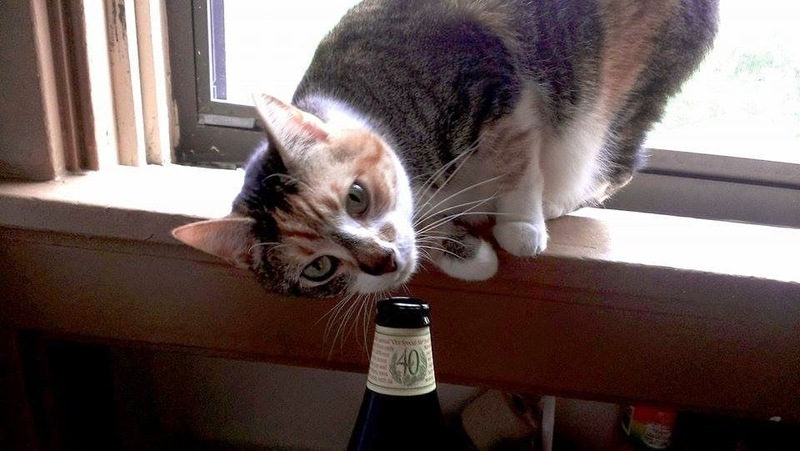 This image was pulled directly from Anchor Brewing's website. Just click "BEER" along the top of the page to see it. I've had none of Anchor's brews. I didn't know they existed until last November when I saw their 2014 Christmas Ale at Kroger. I wanted it but at the price I wasn't sure if I should get it (it only came in a six pack. What if it was awful?) because money is constantly tight for me. But when I found a lone leftover bottle priced at $1.25 I had to snag it. I'm glad I did. 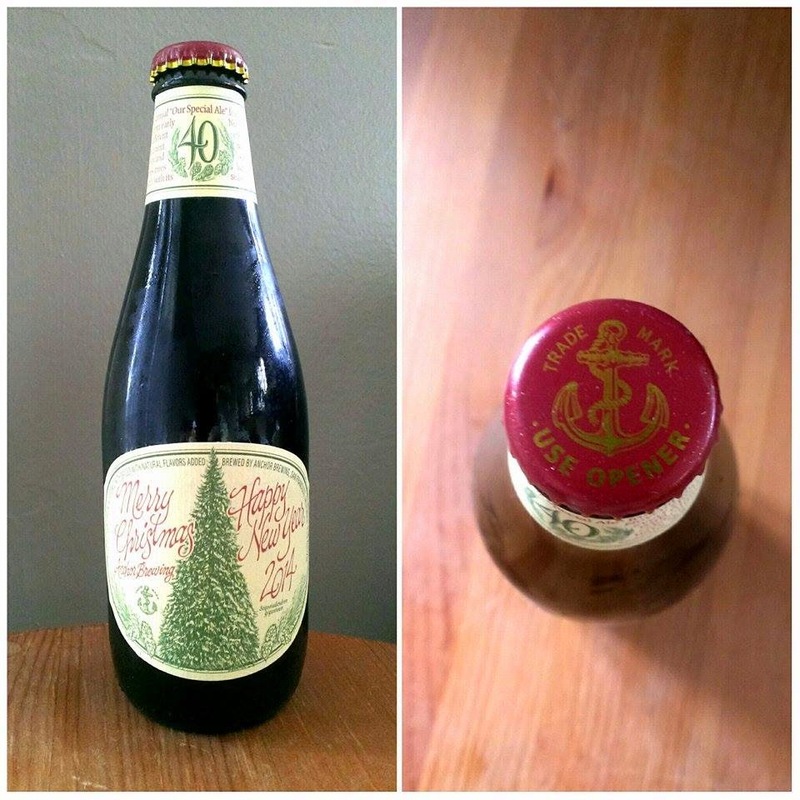 Anchor Brewing changes the recipe of their holiday brew each year. This means that no two will taste exactly alike and the ABV varies year to year. 2014's offering is 5.5%, which means that it's not strong enough for me to age it no matter how much I want to. And I do want to. That'd be a great way of enjoying the nuances between years. It smells like a Christmas beer. If you've had one you know what that means. If you haven't had one, fix that this year. It's a spicy aroma. There's definitely nutmeg in there and maybe some cinnamon and just a touch of honey. I don't know exactly how much of any ingredient is in it, though, because Anchor keeps each year's recipe a secret. The aroma is pleasant and absolutely holiday cheer-inducing. 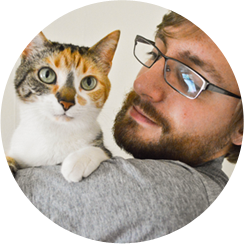 Unless you're my cat who, I'm willing to bet, hates the spirit of Christmas because she only give it four whiffs. Upon taking a swig of the ale, I can taste the nutmeg and the apparent cinnamon and honey that's in its aroma. There's molasses and ginger in there, too, as well as a minty aftertaste that I wouldn't have thought would be appropriate for a Christmas ale that, oddly, fits really well. Anchor's Christmas is both fizzy and smooth. The carbonation of it gives a slight burning sensation to the tongue that's somewhat akin to effect sour candy has. The ale also coats your cheeks so that its flavor lingers after each swig has been swallowed (the coating itself has a slight toffee taste). This Christmas Ale reminds me of one of the best days I had last summer. Some recently graduated friends visited me in Athens to celebrate the completion of my masters comprehensive examinations. It was hot as hell outside and my apartment wasn't air conditioned, but once we realized it was July 25th we decided to throw caution to the wind and celebrate Christmas in July. Luckily we found a pack of Christmas beer at a store (for an incredibly outrageous price that was to be expected seeing how out of season it was) and headed back to my apartment for whatever terrible holiday specials we found on Netflix (I vividly remember watching The 12 Dogs of Christmas, which was perfect given what we were drinking). Despite the sweltering heat of the afternoon sun we were able to find a little bit of Christmas to celebrate that day. I like that this ale makes me think of that day. I know that there'll be people who won't read this post simply because how out-of-season it is. I'm glad I found this beer to try, though, and I'm really looking forward to this year's batch. Heck, I'm anxious to try whatever I can find from Anchor Brewing. As it stands I'm giving their 2014 Christmas Ale 8.0/10. Pick it up if you're lucky enough to find it these days. If not, get ready to grab 2015's brew as soon as you can.